China. A country that is shrouded in mystery for many reasons, but one of those reasons must be the difficulty of getting a China tourist visa. Or, at least that’s the impression I get by all the online videos, articles and posts about the frustrating process of getting a China Tourist Visa. 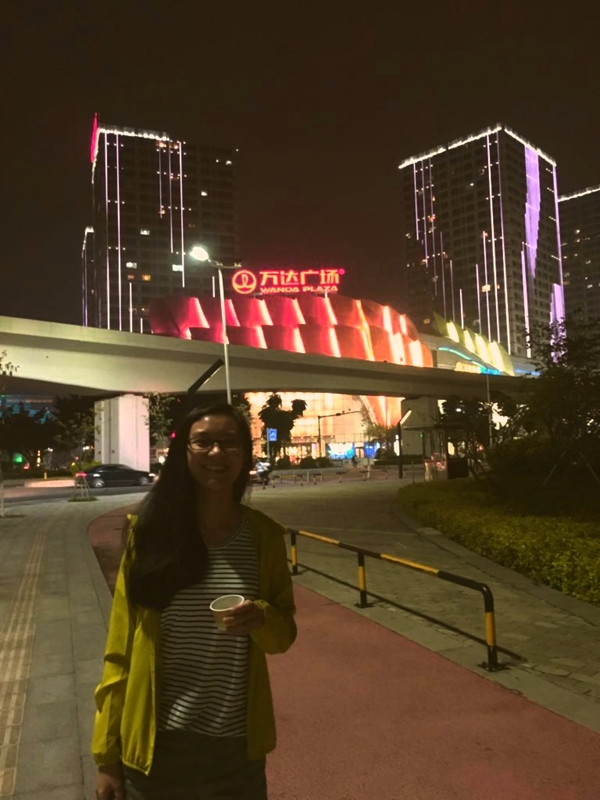 So, I figured I’ll write a guide to help people who want to visit China, but are put off by the potential hard process of trying to get into the country. I recently got my China tourist visa since my old one expired. For all of you who don’t know, I was born in UK and hold a UK passport. I’m not actually a Chinese citizen and I don’t qualify to ever be one, which means I need a visa to enter China like every other foreigner. *cue melodramatic acting* Why does my motherland hate me! I’ve gotten a total of 6 China tourist visas over the past 10 years. So I consider myself rather well versed on the matter. My latest visa is a 1 year multi-entry tourist visa with a 30 day stay for each visit. I was hoping for a longer visa, but I’m happy with the 1 year since China is well known to give UK passport holders a bit of hassle. You can get one on the same day if you apply before a certain time and pay more for the urgent service. But I’ll talk more about that below. Hong Kong is this awkward city that belongs to China, but doesn’t follow any of it’s rules. Being an ex British colony and currently under the one country, two system rule; Hong Kong enjoys a lot of autonomy. That means, we enjoy a lot of benefits. Such as our own legal system, economy, central monetary authority and government. All of this has given Hong Kong the power to be one of the freest markets in the world, and you can’t have a free market if your legal system doesn’t compliment it. So Hong Kong is super easy to get things done. Including, getting into the city. Most countries don’t need a visa to enter Hong Kong and if they do, most people won’t have any problems getting it. Once you’re here you enjoy the Hong Kong style way of doing things. Fast. Efficient. and super easy. 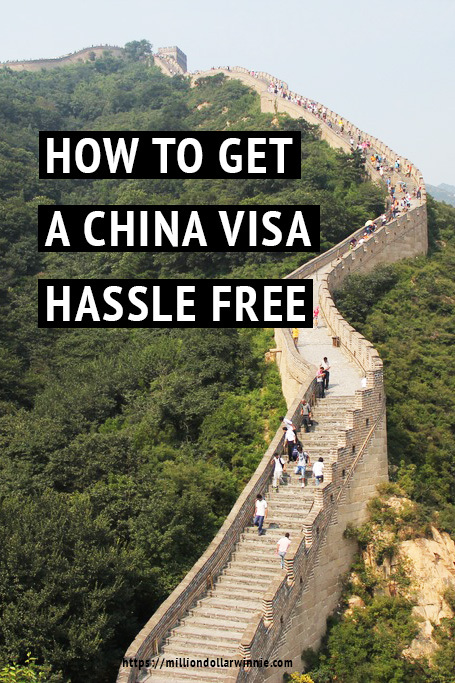 I’ll be going over the 3 ways to get a China Tourist visa, but the way I do it and the one I advocate is the big reason why you want to read this guide. 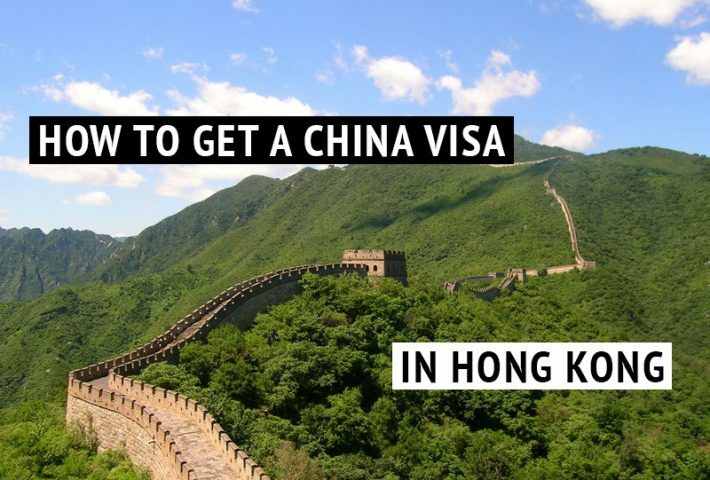 If it’s already on your to do list, then you might as well come to Hong Kong first and enjoy the painless process of getting your visa here instead of going through the trouble back at your home country. Maximum 4 days. 4 business days is the longest processing time as of current and will be the cheapest. The faster you need it, the more you’ll be charged for the special service. Take note what time and day of the week you’re making your application. Applications before 11am on will count as a day. You’ll also want to be mindful of possible public holidays and weekends if you’re applying on a Wednesday, Thursday or Friday. Hong Kong has a lot of public holidays so you do want to double check your dates. 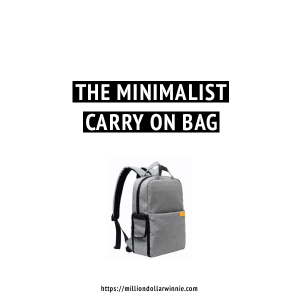 You can check it here. 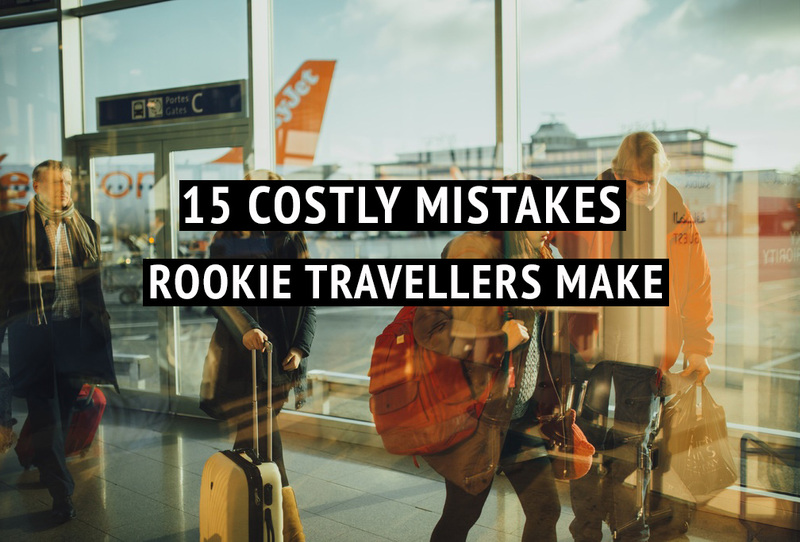 You’ll also want to keep in mind your urgency and your desired length of visa. The Chinese government doesn’t have clear cut answers on how it operates and at times it seems they behave rather arbitrarily. But from my experience, the faster you want your visa to be done, the bigger the chance you’ll get the shortest length of visa available. There are so many different types of Chinese tourist visas for all sort of situations, but the most common ones will be the one time entry L – visa of 30 day stay. In some incidents you can be issued a 60 or 90 day stay visa of both one time or multi-entry. These aren’t common for first time applicants and you shouldn’t get your hopes up on getting one if you do need a visa for longer than 30 days. I’ll talk more about how to extend your stay further down the post. Officially, the maximum length a visa will be valid for is 10 years. This is a relatively new tourist visa only available to Canadian and USA passport holders. (there were talks for it to be available for UK passports, but it unfortunately never happened…*sobs*) For everyone else, you might be able to get up to 1 year. If you hold a Hong Kong Identification Card with permanent resident status, like me, then you can get up to 3 years and even 5 years in special cases. But China doesn’t work in the same way as many other countries. They don’t seem to be interested in taking your money and having you come spend. They’re not that bothered. Instead, what they do care about is who you are. They want to get to know you and feel confident you’re not going to cause any trouble. This means, first time applicants are almost always going to be issued a one time L-visa with a maximum stay of 30 days. It’s there shortest visa available. And the other tourist visas are only granted to people who have already gone to China a few times. In fact, the first 4 China tourist visas I got were one time entry only. I only just got promoted to multi-entry visas and then longer visa lengths in the past couple of years. Almost everyone has to go through this process of gradual promotion to get the longer visas. Except for Canadians and Americans. You guys can happily get your 10 year tourist visa straight away, IF you know what to do. You can get a China tourist visa via 3 channels. The first option is the most tedious and stressful. The second option is the most expensive and isn’t anymore pleasant than the first. The last option is my option of choice, use a travel agent that specialises in China visas. If you know where to go, it’ll be only slightly more expensive than doing it yourself and a gazillion times easier. But, just in case you feel adventurous to brave the paperwork and the process, here are the details of each option. This option is you taking all the middle men out of the equation and going straight to the Chinese government. Original passport with a minimum of 6 months validity left. The fee schedule can be found here. Other than the fact that she starts the video saying your best bet is the China Visa office, this video is great to give you an idea of what to expect. This is the most well know “easy” way to get a China tourist visa in Hong Kong. It’s also the service I used for a whopping 4 times before I found a better option. Do not repeat my mistake by going to these guys. 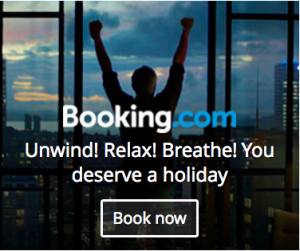 Well you can if you want, but they’re the most expensive and the service is far from desired. They have a lot of branches dotted around Hong Kong. You can find them in the airport as well if you’re really eager to get out of Hong Kong and into China. You can find all their branch locations here. They only provide a fee schedule for certain passports and for their delivery service. This means you can call them up and they will pick your passport from your Hotel as well as delivery it back to you. You can find the details here. There are so many travel agencies in Hong Kong, it’s not possible for me to list all the ones that can get you a China tourist visa. If you want to explore and go on a small adventure in Hong Kong then simply head to Kowloon and you’ll find these travel agencies concentrated in a few spots. 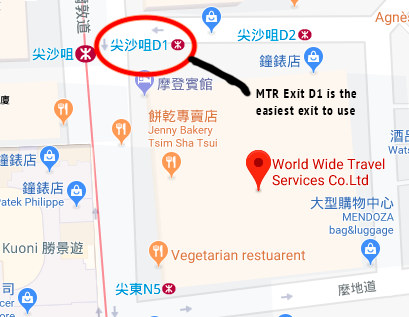 But to keep things easy, you’ll find a lot congregating in TST near MTR exit D. They wont be on the street level and you’ll need to head inside the many plazas to find them. Or alternatively, you can scroll down and find the exact agent I use. Take a look at this video below to give you an idea of what these travel agents look like and the type of places you will find them at. The video doesn’t show the one I use, but the agency shown is also a reliable one you can consider. You’ll want to bring your old passport if your current passport is rather new. It’s a new thing that I have noticed where the Chinese government seem to be extra cautious with you if your passport looks new or you have very few stamps in it. So bring your old passport if you have one. Travellers who don’t have a Hong Kong ID card will need to bring their return flight tickets. This is again, especially important for first time applicants. You want to have return tickets to show them you have every intention of leaving. People who have never been to China before and have no record on their system will be under extra scrutiny. Trying to do a visa run? Teaching English has been increasingly popular in recent years. 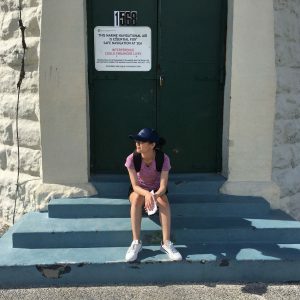 Being an ESL teacher has become a go to path for the wanderlust traveller of many Caucasian or native English speaking millennial. With many millennials graduating during the worse recession since the great depression and a ever increasingly wealthy Asia, it’s just a natural phenomena that has occurred. Unfortunately, a lot of these “teachers” work illegally at tutorial centres and work on tourist visas. This means they have to leave China ever 30, 60 or 90 days to apply for another one and then re-enter. This makes Hong Kong a very popular choice for people doing a China tourist visa run. 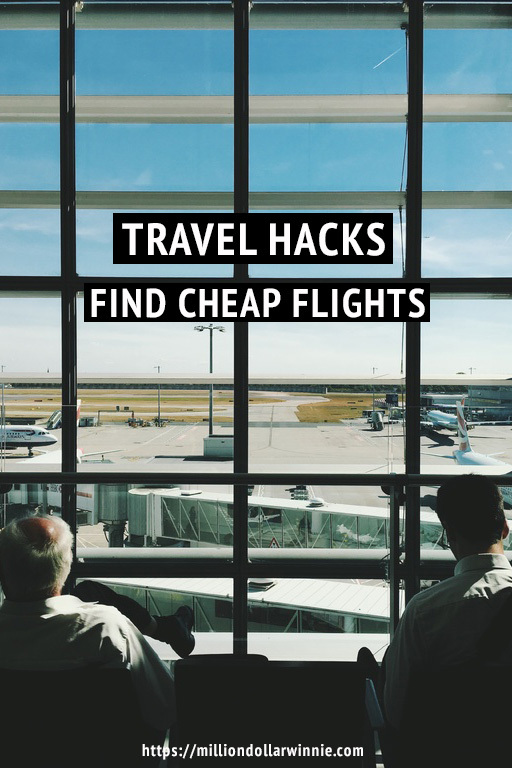 Because flying to Hong Kong is a lot cheaper than going back home. 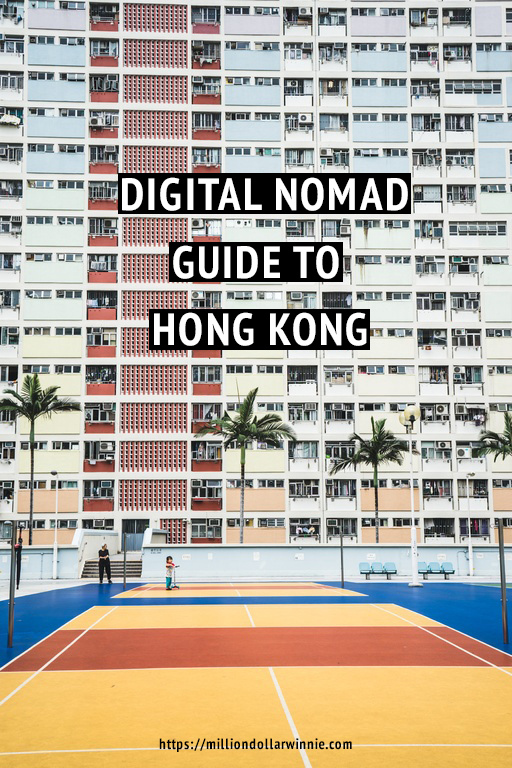 It’s similar to the how digital nomads in Thailand do their visa runs to neighbouring countries. But unlike Thailand, China doesn’t appreciate this behaviour very much and is trying to stop it. So it’s actually easier to get a visa in your home country if you have some “shady” border crossing activity on their records. I don’t advice anyone using Hong Kong to do a China tourist visa run anymore. The prices are listed as the official prices if you apply directly with the office. 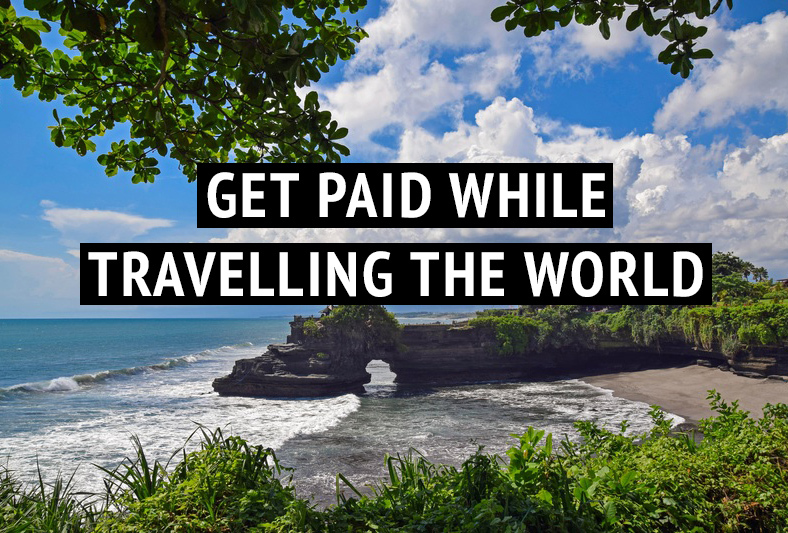 But it will be a bit more if you go through a travel agent. I got my 1 year multi-entry visa for $1750 HKD, which is a lot cheaper than going through the China Travel Services (HK) Ltd and other travel agents. BUT it is a bit more than what i would pay if I went directly to the visa office. If you’re like me, and you have better things to do than waste an afternoon. 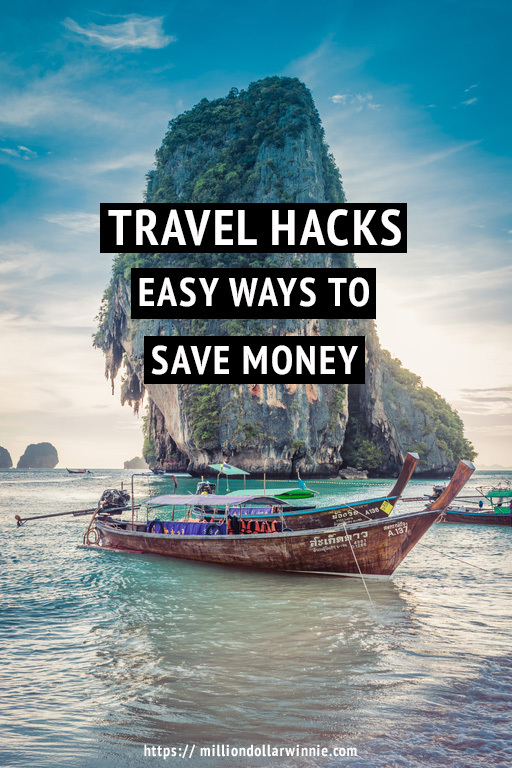 Fork a little extra out to save yourself the headache and go with the travel agent. So you’ve applied for a China tourist visa and they gave you the shortest one, 30 days. 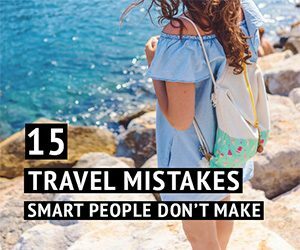 But you already had your sights on exploring more than the big cities and going off the beaten track. That’s going to need more than 30 days. Extend your visa at one of the big cities. I’ll have to be upfront here, I have never extended my visa because I never needed to. However I’ll share what I do know with you. Extending your visa in Shanghai and Guangzhou seem to be popular spots because of the relative ease. I imagine the fact these cities are extremely tourist friendly makes it easier than other cities. The time it takes your visa application is a part of your valid days of stay. So make sure you have at least 7 days left on your visa when you go apply for an extension. The visa extension starts on the day the visa is given to you and not from the last day your current visa ends. Don’t go rushing for an extension if you have many days left! And that’s all I know. I’m sure the usual, photo, photocopy, passport requirements are the same. 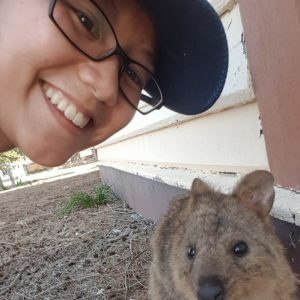 From my knowledge visa extensions are rarely rejected if you are able to provide all the needed documents AND you haven’t applied for too many visas within the last 12 months. I can see why there are so many horror stories about getting a China tourist visa. 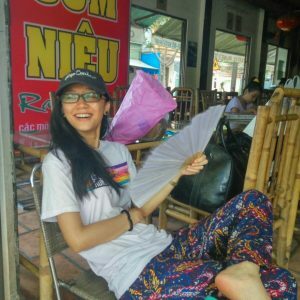 The first few times I got a visa, I went through the most popular route of using the China Tourism agency. It was… expensive, rude and off putting! The agents at the place are famous for being rude and having the attitude of “I really don’t care if you go to China or not”. But at the time it was the only place my family were aware of. We were new to Hong Kong and everyone just said that it was better than going to the government office directly. I never got rejected for any of my visa applications, but I do remember the process being very tedious for just a tourist visa. I would spend the whole afternoon to go though the whole application process. The entire experience was rather off putting and I only ever went to China if they were far off destinations from Hong Kong. Luckily, I got older and made a bunch of friends, street wise friends. These guys were in the same boat as me and need a visa to get into China. They told me to head to Mirador Mansion in TST and I did just that. My first experience with a travel agent was very smooth. I didn’t even have to fill in the form fully and they took care of the rest. I was in and out of the place under 15 minutes. But the price wasn’t too attractive. I wasn’t complaining though, I was just happy it was so easy to get one. But the next time I went to another one and this place was even better. I didn’t even have to bring a photo, I only filled in the most essential parts of the form and the price was the best I’ve been quoted. That place was World Wide Travel Services Co. This is the place I go to for my China tourist visa now. I’m not changing places unless somewhere is cheaper, which I doubt anyone can beat. NOTE: Most of these travel agents are only experienced in applying for UK, USA, Canada, India and Pakistan passports. How to get to World Wide Travel Services Co.
Get on the MTR system and get off Tsim Sha Tsui station. From there, you’ll want to head towards exit D which leads to Chung King Mansion. Mirador Mansion is right next door. Yes. I am aware that I told you to avoid going into Chung King Mansion. And I still stick to that piece of advice if you’re not in a group. BUT mirador mansion is not Chung King and although it’s right next door, it’s worlds apart. The entrance is less obvious, but simply look upwards above build entrances and you’ll find “Mirador mansion” marked. From there you’ll want to head up 2 flight of stairs to get and find shop 69A.